This mil-spec 7.62 NATO ammunition from Federal delivers match-grade accuracy. 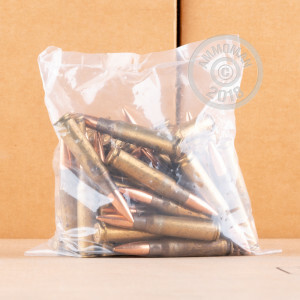 Each cartridge in this loose packed lot of 50 fires a 175 grain Sierra Matchking bullet. The Matchking is a hollow point, boat tailed design is renowned for its superb accuracy. It is also used in Federal's commercial match-grade loads. M118 Long Range ammunition is used by American snipers in a wide variety of challenging situations. While it is not suitable for hunting or home defense, it is extremely accurate and serves as a high-performance, relatively low cost alternative to commercial match grade ammo for M-14s, Remington 700s, and other 7.62 NATO/.308 Winchester rifles. 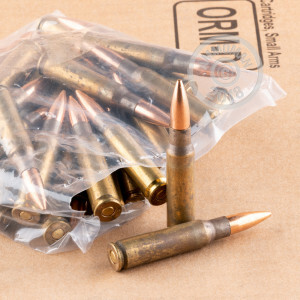 These cartridges use non-corrosive Boxer primers and reloadable brass cases with visible annealing marks in accordance with military requirements.